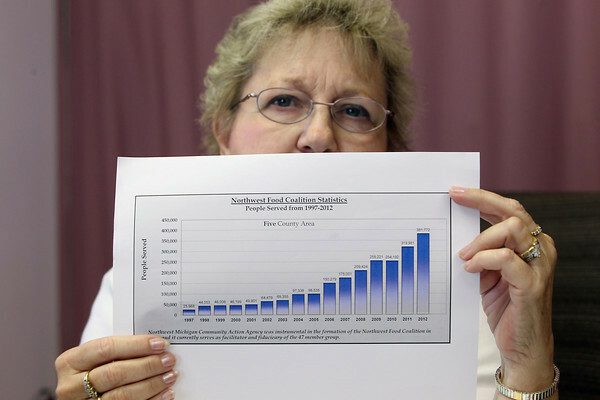 Salvation Army social worker Val Stone (cq) holds a chart showing how the number of people served by the Northwest Food Coalition has risen since 1997. The Traverse City Salvation Army, along with many others in the region, is short on food as donations drop and demand increases. "You can see it's a never-ending thing," said Stone.